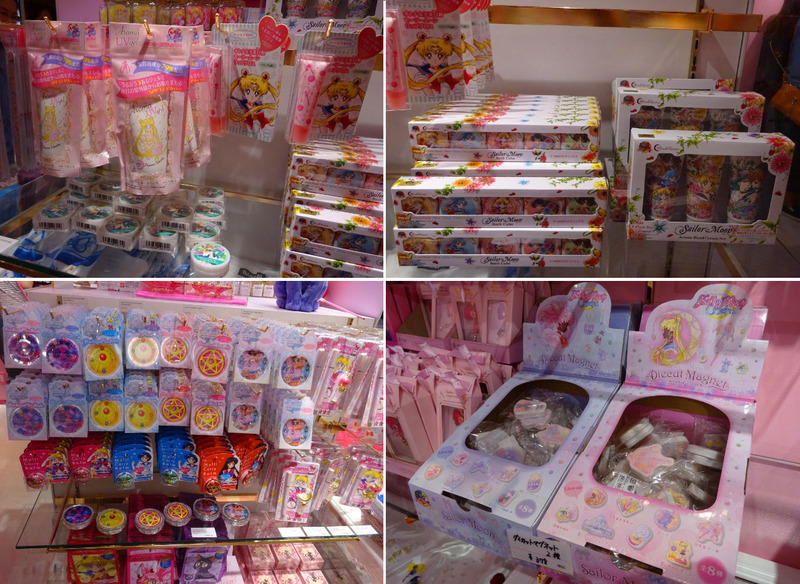 Now you can buy Sailor Moon merchandise in Harajuku anytime! Sailor Moon was one of the anime in my childhood I liked the most. Now it is already celebrating its 25th anniversary with many special events. One of these is the opening of the first permanent Sailor Moon Store in Harajuku. I have been there to take a look around. Sailor Moon, known in Japan as Pretty Soldier Sailor Moon (美少女戦士セーラームーン, Bishojo Senshi Sailor Moon), was first published as manga by Nakao Takeuchi in 1991. In 1992 the manga about the middle school girl group fighting with magical power was adapted into an anime and later also became very popular oversea. As part of the 20th anniversary celebrations a new anime adaption was produced under the name Sailor Moon Crystal which brought the hype back within the last years. A perfect start over to celebrate the 25th anniversary this year. The official Sailor Moon Store opened on 23th September 2017 and for sure many people were lining up on this day to be the first visitors. 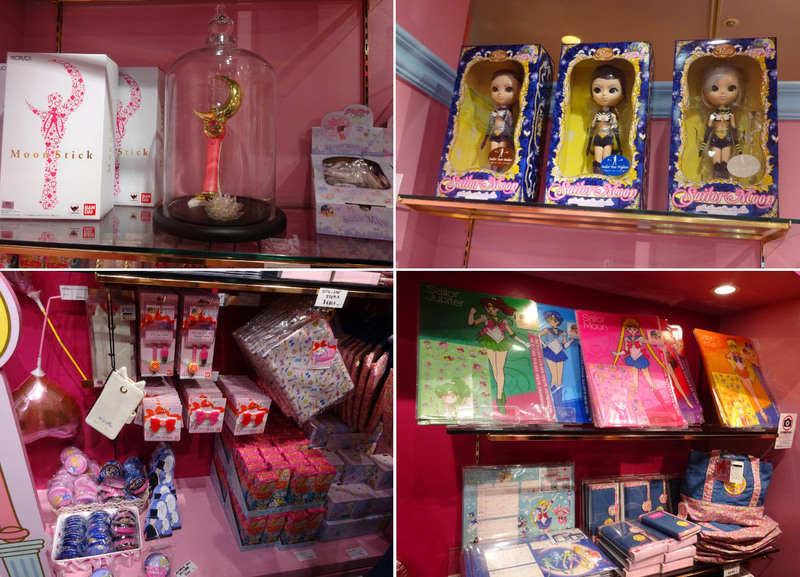 Before, all the stores with Sailor Moon merchandise were just pop-up stores for a limited time, but this time the store should stay permanently. It is located along the Meiji Dori Avenue inside the famous shopping department Laforet, just a view minutes walk away from JR Harajuku station or Tokyo Metro Meiji-jingu-mae / Omotesando station. The store welcomes you at the B 0.5 floor in a light pink fitting perfectly to the bishojo anime theme. But also other spots make the design perfect including chandelier and other sweet details. Inside the store you can find a range of merchandise from any kind, including goods like key chains, smarthphone cases, books, stationeries and more. Also shop exclusive goods which you only can buy at this shop are available and probably one of the highlights. But that’s not all, just on the other side you find the second part of the Sailor Moon Store in a nice blue color filled with clothes, bags, jewelry and purses. Also some gacha machines are set up there. While looking around it was hard to decide what to buy, because there are so many different things. 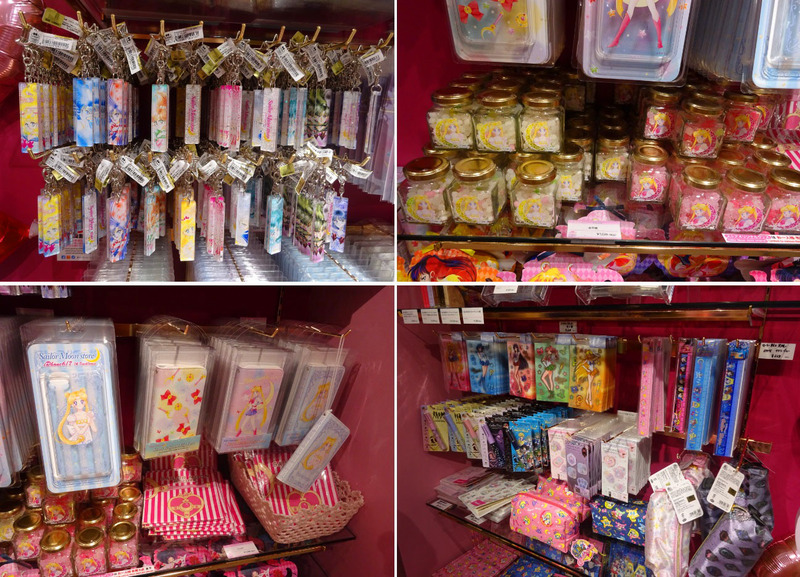 Did you ever dream of having Sailor Moon make up or a box full of candy in Sailor Moon design? Now you can get it all in Harajuku. But don’t forget to take a lot of money with you, because some of the goods are really pricy. And especially as a fan you can easily can get into a shopping frenzy and can’t hold back! But talked enough, here I have a bunch of photos from the store for you! 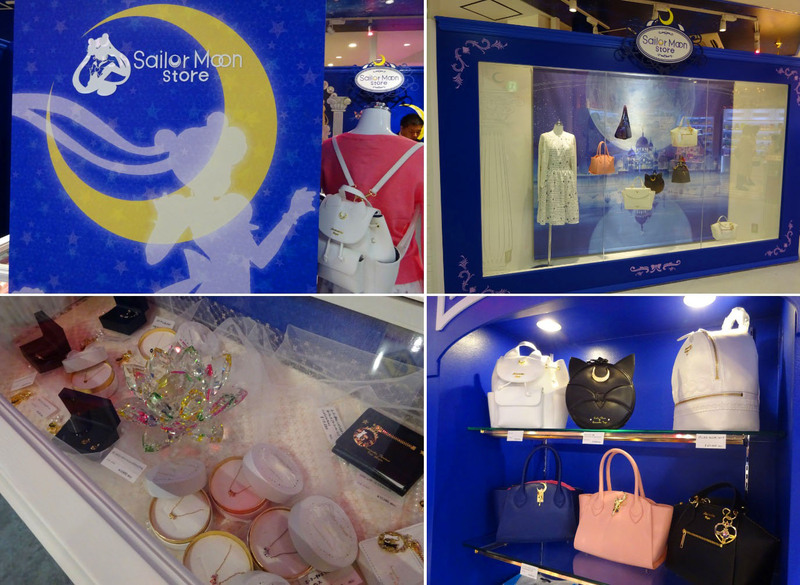 This new permanent store is a highlight for many fans of Sailor Moon. Because now you have a certain place in Tokyo you can visit if you want to buy merchandise. Before this it was hard to find it, you needed to research or buy things online. Another small bonus at the store: you can get a point card which allows you to get a discount after reaching a certain amount of money spent there. I hope the store will make many people happy and will stay there for a long time. And let’s see, maybe even more shops like this will open in the future. If you are planning to visit the Sailor Moon Store until the end of October, take your chance and visit the time-limited Sailor Moon Café at Omotesando Box just around the corner. But take care, that you need an online reservation beforehand. Find out more about it at this article!